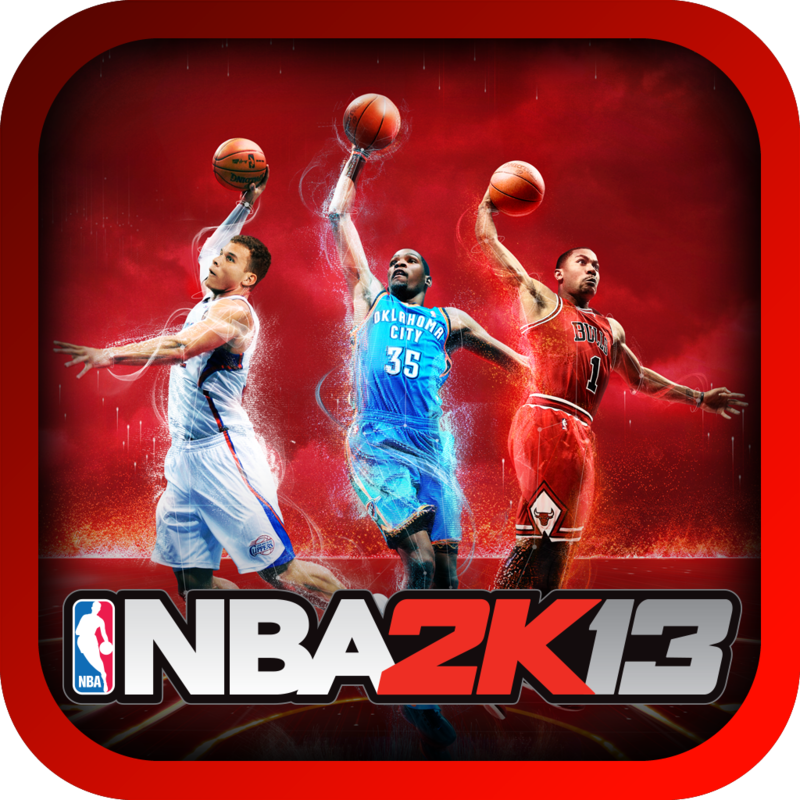 NBA 2k13, a great game that you can play great basketball games from your iPad. The game features all of the NBA license so you can choose any team in the league and play, for example, with the great team of Pau Gasol Los Angeles Lakers. The game also lets you relive major NBA games of all time as the party of the 81 points Kobe Bryant's 2006 Lakers against Toronto. NBA 2k13 for iPad also includes a multiplayer mode to play with friends via Bluetooth or via Game Center friends. NBA 2k13 includes all licenses so the more NBA fans will enjoy a big way with each team and their staff. You control a Kobe Bryant or Pau Gasol and give those passes or great with simple controls make triple nonstop. The templates are fully updated, including all transfers. The game controls are simple, with the left finger will have to run a finger joystick and you can choose the right pass or shot in the attack and defense mode lets you plug, change player or get the ball. In NBA 2k13 have also introduced the game mode with just one finger. With the new controls of a finger you can only run with a multitouch gesture to whom you pass the ball or when you want shooting baskets. You can also decide the overall strategy of attack or defense in the moment and change it whenever you want. The game's soundtrack is also very neat and is a completely revised production by JAY Z. The game also features a multiplayer mode that lets you test yourself against your friends, the Bluetooth option in face to face or online mode thanks to its compatibility with Game Center. With NBA 2k13 will have guaranteed fun because it meets what you could do in a basketball game at this level, but sometimes we miss you more control over the player and the game itself. The control with just one finger is fun and not excessively complicated. NBA 2K3 is fully compatible with the iPad Mini and with all versions of iPad, although the original iPad is everything we'd like fluid. The soundtrack is really good and the reviews we also liked very much. The 'intros' of parties are fun and connected to the game's graphics will leave a good impression. The reps are very good and you can also take a picture of the moment with the push of a button.